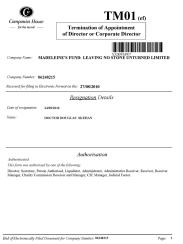 (6) Who are the directors of Madeleine's Fund? (7) What is the money being spent on ? 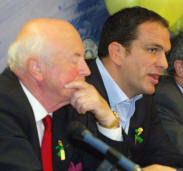 The majority of the fund money has been and continues to be spent on investigative work to help find Madeleine. Additionally money continues to be spent on the wider 'Awareness Campaign' – reminding people that Madeleine is still missing and to remain vigilant. 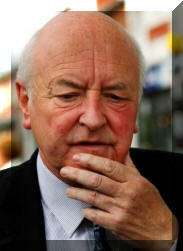 None of the directors have taken any money from the fund as remuneration. A former television personality - she appeared on GMTV and in programmes such as 5's Company, The Heaven and Earth Show, Shopping City and Channel 4's Nothing But The Truth with Ann Widdecombe - McVey now runs a PR firm in Liverpool, and hopes to become a Tory MP at the next general election. 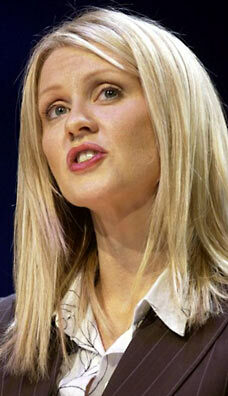 A former girlfriend of shadow culture minister Ed Vaizey, she narrowly failed to win Wirral West in 2005, losing by about 1,000 votes to Labour's Stephen Hesford. 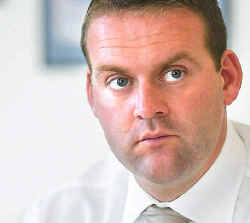 John McCann D.O.B: 15/02/1959 is Gerry's brother,appointed 16 May 2007as a director of the Find Madeleine Fund (there are seven directors). He has taken indefinite leave of absence from his job as a medical rep for the pharmaceutical company AstraZeneca in order to administrate the £1m fund from his Glasgow sitting room. Worried that focus on allegations about her parents has overshadowed the search for the four-year-old, he has just announced a new campaign of billboards, television commercials and advertisements in newspapers across Portugal and Spain. His wife, Diane McCann, is actively involved in fund-raising. She joined friends to run the 10k in Glasgow, sporting t-shirts with Madeleine's picture on the back. Diane is a primary school teacher who lives in Scotstoun, Glasgow with her husband and two children, Fiona (11) and Gregor. 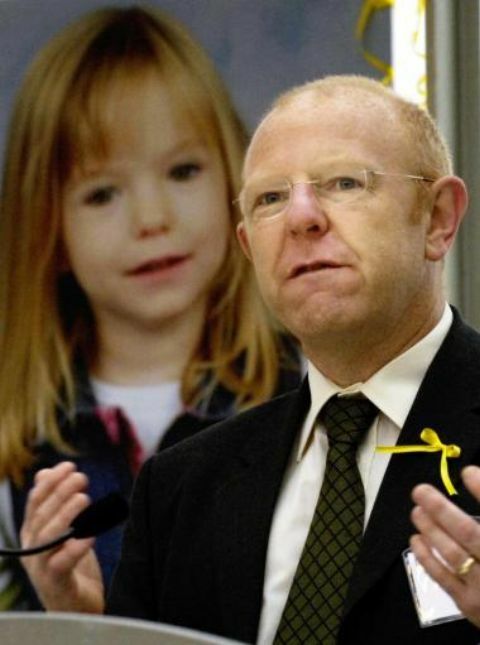 A medical representative, The uncle of missing Madeleine McCann has blamed negative stories about the family for the drop in donations to their fighting fund. 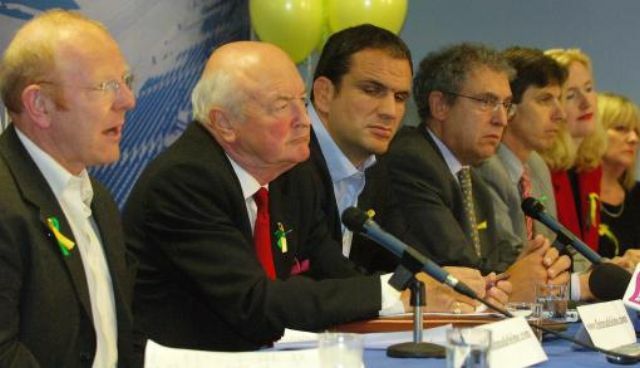 D.O.B: 28/02/1939 A retired head teacher, Kate's Great Uncle, appointed as fund director16 May 2007 Brian Kennedy (brother of Susan Healy and Kate's uncle) is a director of the Company administrating the Find Madeleine Fund. He lives in Rothley, Leicestershire and has acted as a spokesperson for the family in the UK. 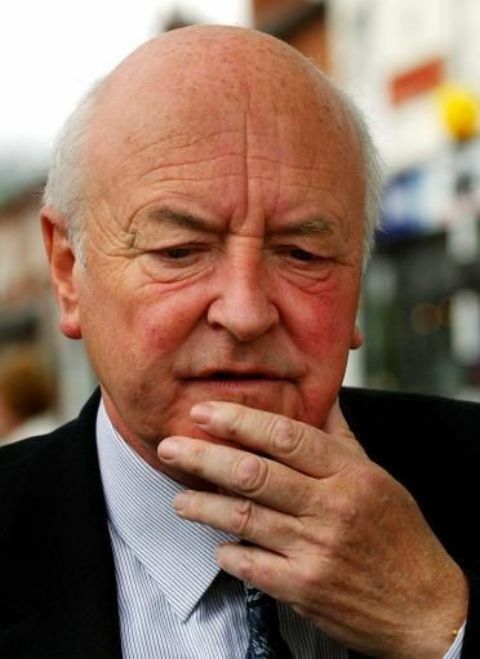 During the first week after Madeleine McCann went missing, Brian and Janet Kennedy, Madeleine's great-uncle and great-aunt, went twice a day to the central square of Rothley, the village close to Leicester, in central England, where Maddie’s parents live. They were the face that the many journalists on location wanted for their live transmissions. On the day that marked a week after the kidnapping, Brian, a former teacher at the local catholic school in Rothley, even invited "Expresso" journalists into his home for a cup of tea. 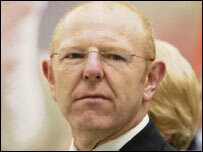 Brian and Janet have one son, James. 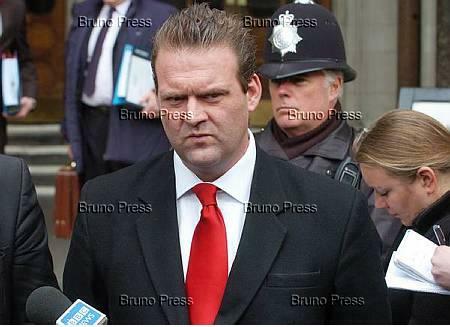 Martin Osborne Johnson CBE (born March 9, 1970) is a former England rugby union player and captain. 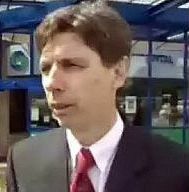 Johnson was born in Solihull in the West Midlands. 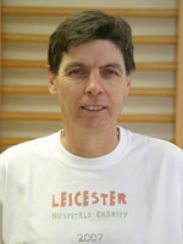 At the age of seven, his family moved to Market Harborough, Leicestershire, where Martin attended Ridgeway Primary School, Welland Park School and Robert Smyth School, where his father still works as a caretaker. 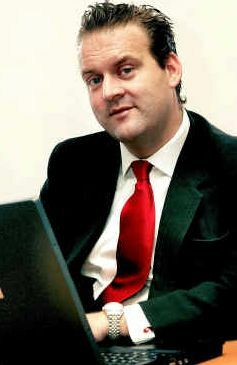 Johnson briefly played American football for the Leicester Panthers as a tight end or defensive end. 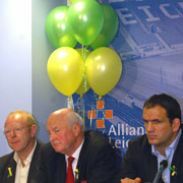 The Leaving No Stone Unturned appeal, based on a website, was kicked off at the Walker football stadium in Leicester. As well as Martin Johnson, the launch included Esther McVey, a family friend; Madeleine's uncle John McCann and great uncle Brian Kennedy; Dr Doug Skehan; lawyer Rosamund McCarthy and Ann Thomas, from the International Family Law Group. Distraught Kate rang long-time friends Jon and Michelle Corner, the twins’ godparents, at their Merseyside home to break the news. Jon Corner is the owner of Online Media, PR and Marketing Company - River Media in Liverpool. 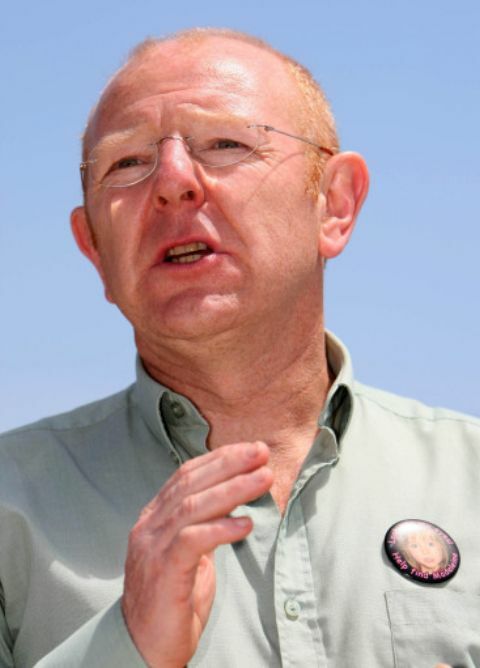 He has acted as the family spokesman and accompanied the McCanns on their trip to Huelva, along with Michael Wright, John McCann and a cameraman. In the Panorama programme (November 19th) Jon said that they know the McCanns through his wife, Michelle, "who is Kate's longest friend. I mean they met each other back in primary school and stayed lifelong mates." 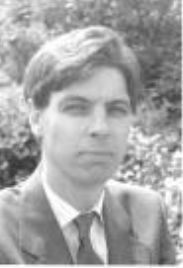 D.O.B: 12/02/1957 Film and TV producer and friend of the McCann's (wife is a long-time friend of Kate) Reportedly drafted in to help Clarence Mitchell look at offers they have received, such as making a docudrama or writing a book. 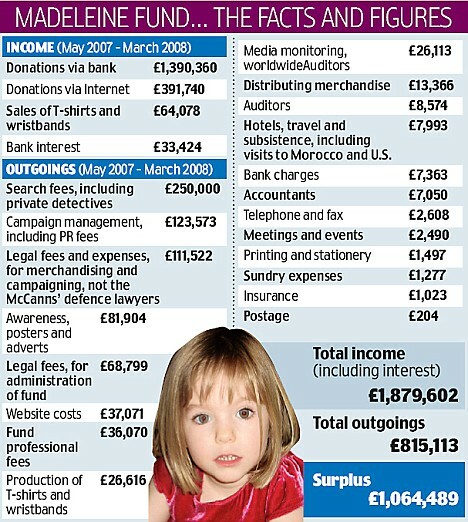 Madeleine’s fund is a non charitable not-for-profit company, which has been established to help find Madeleine McCann and to support her family and bring her abductors to justice. Any surplus funds will be used to help families and missing children in the United Kingdom, Portugal and elsewhere in similar circumstances. If there are surplus funds Madeleine’s Funds can be converted into a charity. The Fund is following best practice governance procedures as set out in the Good Governance Code for the Voluntary and Community Sector. The directors of the company are Peter Hubner, Brian Kennedy, John McCann, Michael Linnett, Edward Smethurst , Doug Skehan and Jon Corner. They have appropriate legal, business and charitable experience. An experienced Fund Administrator has been appointed to ensure the highest standards of transparency and accountability. This should enable the Directors to maintain an appropriate governance distance in the day-to-day operations of the Fund. The Board and its individual Directors will ensure that the Fund is subject to required financial legal scrutiny. 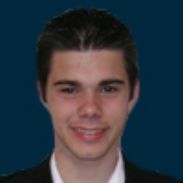 They will ensure that they receive reliable external advice and information, as the basis for making good decisions. 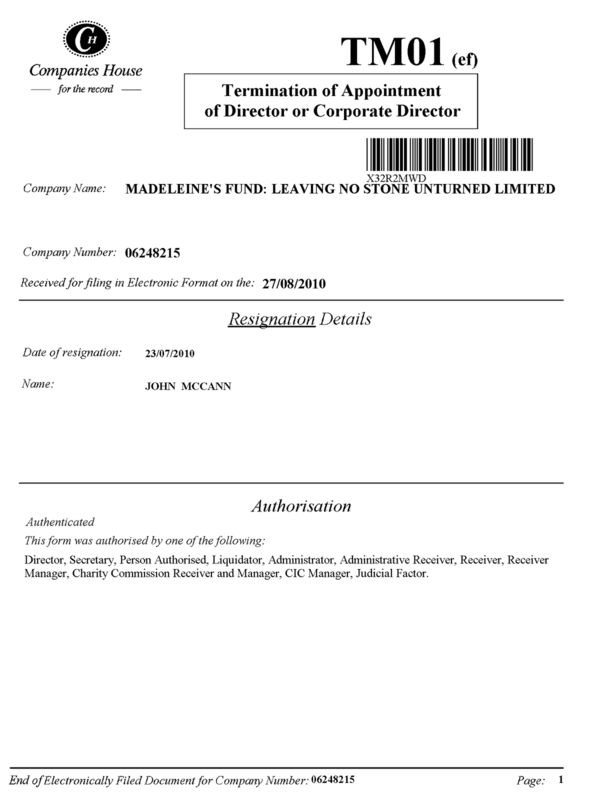 Madeleine's Fund - 'Leaving No Stone Unturned' is a not-for-profit company which has been established to find Madeleine McCann, support her family and bring her abductors to justice. The Fund is following best practice governance procedures as set out in the Good Governance Code for the Voluntary and Community Sector. The directors of the company are Peter Hubner, Brian Kennedy, John McCann, Michael Linnett, Edward Smethurst , Doug Skehan, Jon Corner, Kate McCann & Gerry McCann. 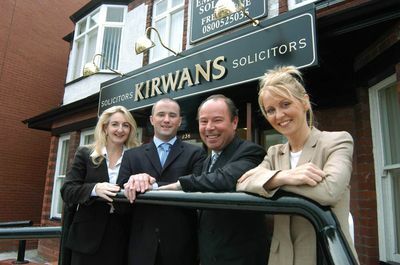 They have appropriate legal, business and charitable experience. 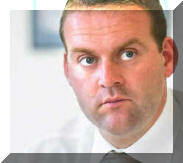 An experienced Fund Administrator has been appointed to ensure the highest standards of transparency and accountability. This should enable the Directors to maintain an appropriate governance distance in the day-to-day operations of the Fund. To provide support, including financial assistance, to Madeleine's family. 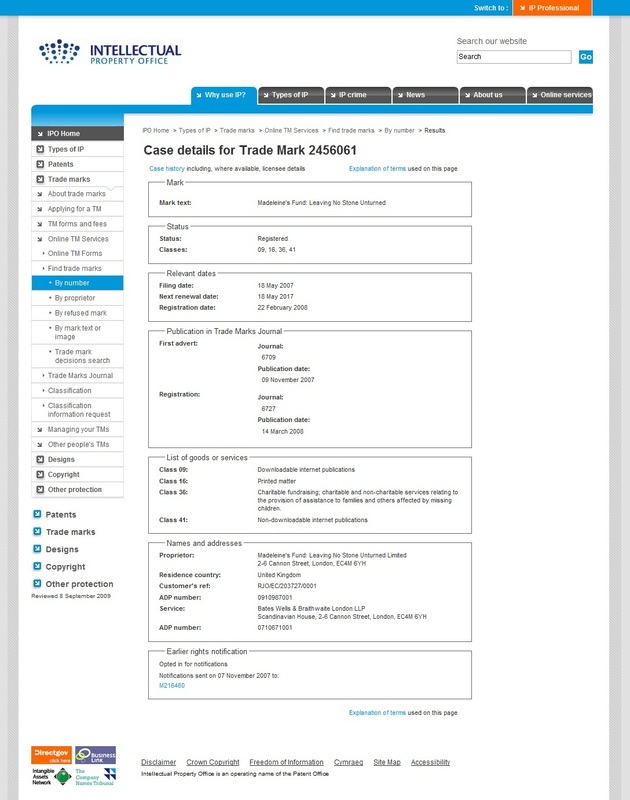 If the above objects are fulfilled then the objects of the Foundation shall be to pursue such purposes in similar cases arising in the United Kingdom, Portugal or elsewhere. We thank you for your interest in fund raising to support Madeleine's fund. Many donations have resulted from a variety of fund raising events. These have included Car Boot sales, jumble sales, school cake sales, race nights, sponsored runs & cycle events, ‘dress down' days, auctions & ‘cheese & wine' nights. These events have further highlighted Madeleine's plight as well as bringing many people together to have fun whilst working towards one common goal. 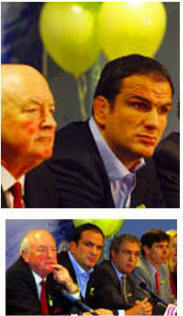 (1) Who are the main contributors to the fund? Many members of the general public from across the world have kindly donated to Madeleine's Fund, either by personal donation or fund raising events. 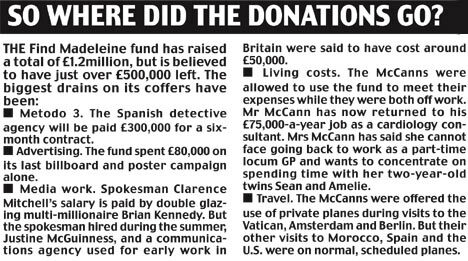 In addition to this, over £1 million pounds in libel damages and compensation awarded to Kate and Gerry McCann and their friends has been paid into Madeleine's Fund. 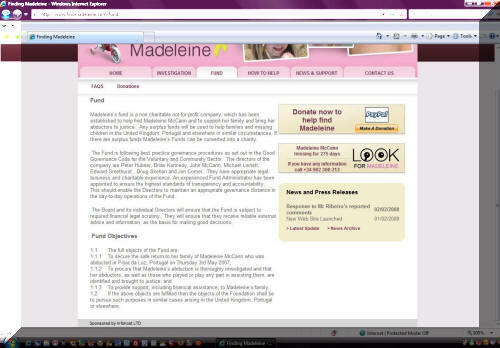 (2) What are the registered details of Madeleine's Fund? Madeleine's Fund: Leaving No Stone Unturned Limited is a company limited by guarantee, registered in England and Wales, CRN 6248215. 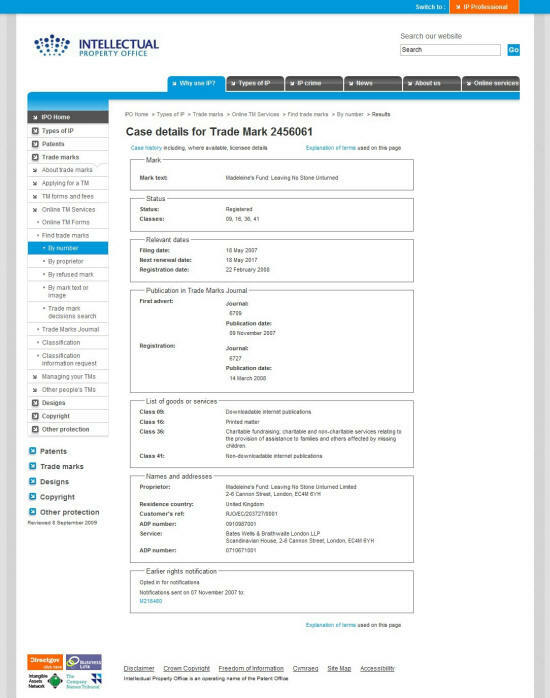 Registered office: 2-6 Cannon Street, London EC4M 6YH. 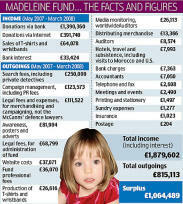 (3) Why is Madeleine's Fund not registered as a charity? Because Madeleine's Fund is currently focussed on searching for one child only, Madeleine McCann it cannot register as a charity. However in the future, if the objects of the fund are fulfilled and subsequently changed to concentrate on multiple similar cases, it may then be possible to acquire charitable status. (4) Can gift aid or tax relief be claimed on my donation to Madeleine's Fund? No it cannot because these are only available to registered charities. 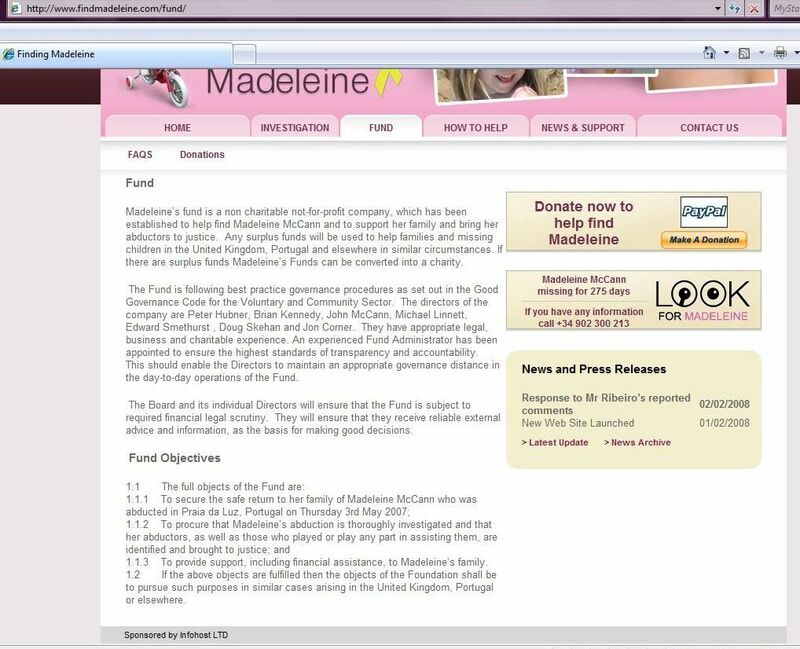 (5) If Madeleine's Fund isn't a charity who is regulating it? The directors regulate Madeleine's Fund and they aspire to follow best practice policies and processes used by charities. The directors have reviewed its operation against “Good Governance: A Code for the Voluntary and Community Sector”. This sets out best practice requirements for charities. 19-year-old internet expert runs Find Madeleine website which has attracted more than 400,000 unique users and helped to raise more than £1 million in donations for campaign. 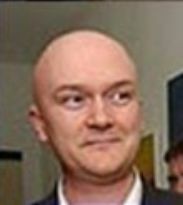 He is a Director of Infohost. (His father, Cameron MacRae, a police officer, is the Director/Secretary of the company) Calum is an ex-pupil of Phil McCann. Class 36: Charitable fundraising; charitable and non-charitable services relating to the provision of assistance to families and others affected by missing children.